If you had gone to any factory in your area, you had seen lots of production process where raw material was converted into finished goods. Raw material and direct labors' cost are the part of prime cost. All other indirect cost will be factory overhead or factory expenses. In this, we can include factory supervisor salary, factory building rent, depreciation of factory building and other factory machines. 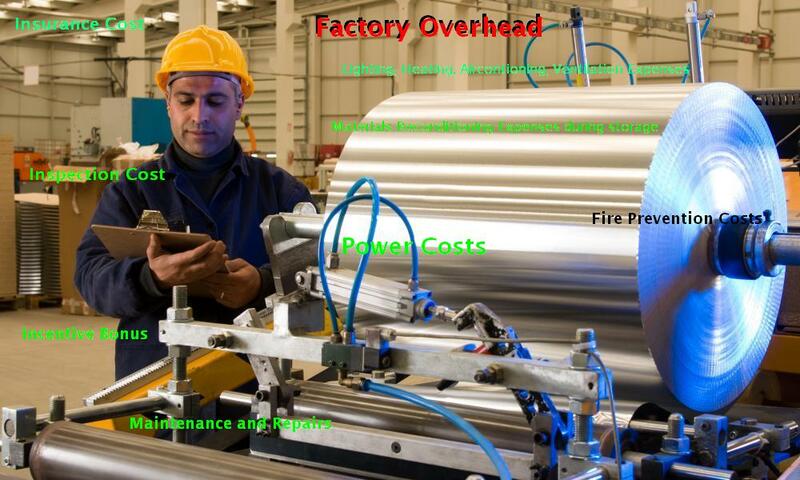 If you want to know all these factory or manufacturing overheads, you should study manufacturing overheads examples. All these expenses are indirectly connected with the production of any product in the factory. If we will calculate all these expenses and also add prime cost, we can reach to find the total cost of the products which is very necessary to calculating the exact sale price of any product. As factory manager, you should make its advance budget because shortage of factory overhead fund may also delay the products. Due to this, we can lose big sale offer. So, factory manager should make its standard and time to time calculate its variance.